According to the 2010 National Census performed by the U.S. Department of Labor, work-related fatalities resulting from fires more than doubled from 2009 to 2010. This number makes up over 3.5% of total fatalities in the workplace. Use fire safety training courses to avoid becoming part of this statistic, keep your insurance risks down, and prepare your employees for the possibility of a fire. Fire Safety: Extinguishing Risk, by J.J. Keller is an hour-long course that employs games, quizzes, and more to help learners learn to identify fire hazards and learn to use fire extinguishers safely. Basics: Fire Safety, by Global Collaboration Partners explains the combustion process in depth, looks at the different types of fires and teaches your employees how to deal with each type of fire specifically. Fire Safety Training from E-Learning WMB helps your organization develop an evacuation process for your office and what to do in the case of an alarm or when encountering a fire. OSHA: Fire Safety, by Vivid Learning Systems teaches fire prevention measures, proper use of a fire extinguisher, and helps your employees make your workspace OSHA compliant. 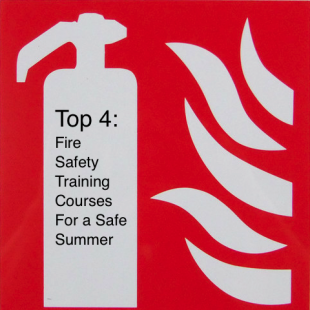 Keep your workplace fire-free this summer by training employees and having easy to follow protocols for safely dealing with a fire.